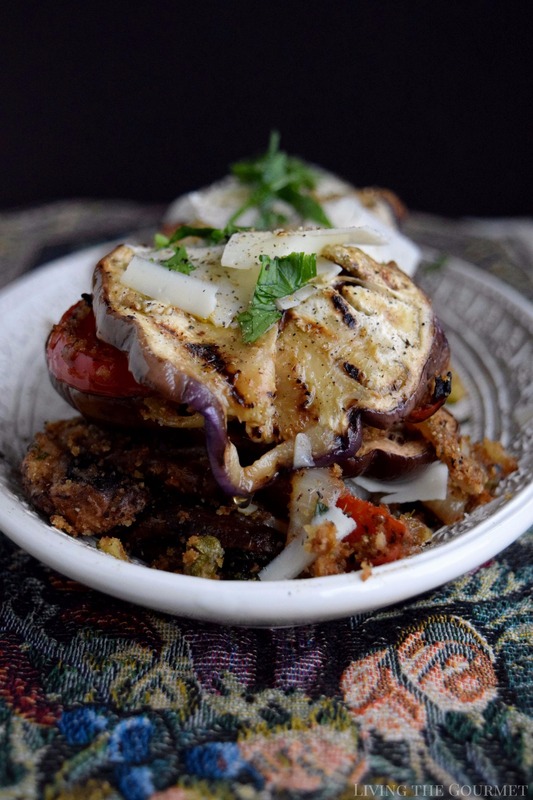 The flavors of the Old World Mediterranean get a modern twist with these elegant Eggplant Stacks! In the world of cooking, let me give you a rather pertinent example of this. Now consider that the aforementioned ingredients, combined in various incarnations, were staples of the Byzantine Empire’s peasantry in Greece and Turkey. 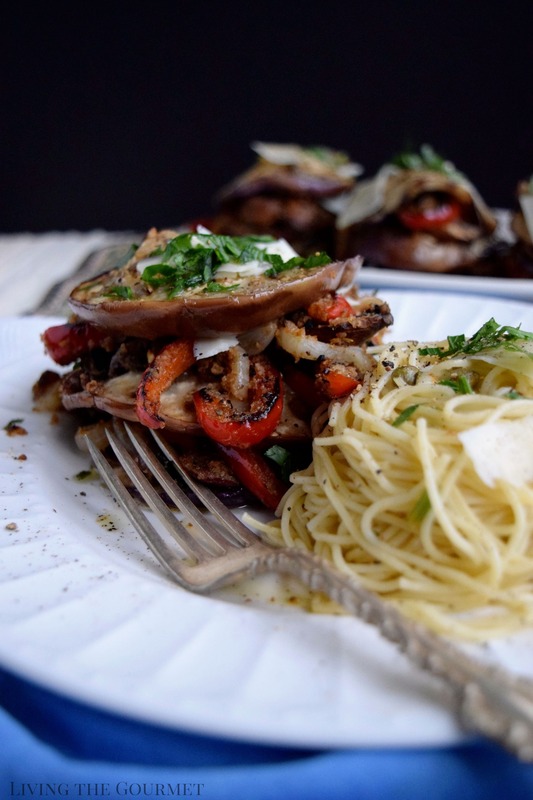 I was reminded of this the other day after I prepared basically that the same recipe – albeit with a few ‘Living the Gourmet’ twists – Mediterranean Eggplant Stacks paired with Angel Hair Pasta. To start things off, we begin by slicing two eggplants to roughly a quarter of an inch thickness, then brush them with olive oil and dash them with salt. Once that’s done, we heat our cast iron griddle, and line it with the eggplant, and grill them on both sides. Once that’s done, we give the mushrooms listed below the same treatment, grilling them on both sides. After that, heat a large cast iron frying with about two tablespoons of olive oil, and add the onions and bell pepper strips. You want the onions to reach a beautiful golden color before adding them to the same bowl into which you placed the mushrooms and the peppers a slight char. After that’s done, add a bit more olive oil to the cast iron frying pan, and add in a bit of chopped garlic, letting that roast until it becomes nice and fragrant, after which you’ll want to add in the breadcrumbs listed below, along with capers, parsley, raisins, and pitted olives. Once the breadcrumbs have become golden, add the mixture into the bowl with the onions and mushrooms, and season further with salt, pepper, oregano and red pepper, and then toss gently. After that’s finished, it’s time for the fun part – assembling the eggplant stacks. 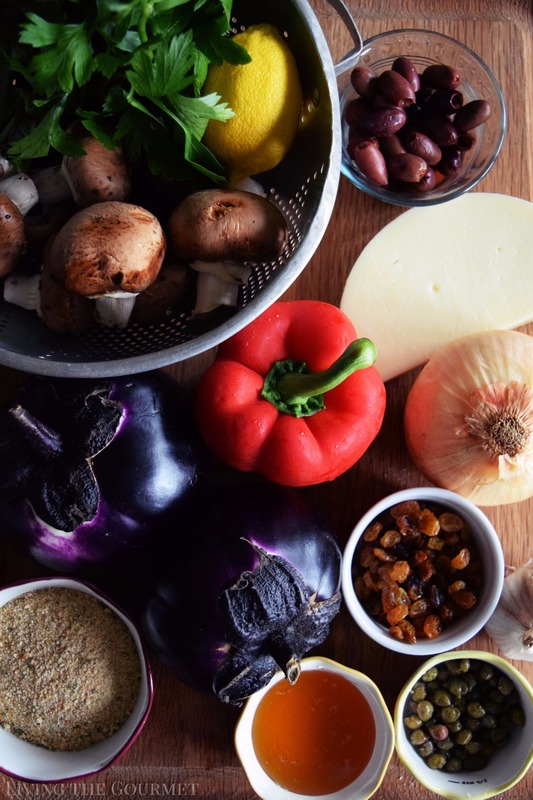 Start off with a serving platter, and place down one of the eggplant rounds, top it with the mushroom mixture, followed by shaved provolone, and then another eggplant slice. Repeat this process a few times before finishing with more provolone, chopped parsley, and a drizzle of the honey mixture outlined below. Combine the honey lemon juice and olive oil in a small bowl and stir. Place in a small bowl and set aside for when the stacks are done. Slice the eggplants and drizzle with olive oil and a dash of salt. Heat a cast iron griddle and place the eggplant slices on the griddle. When one side is grilled carefully turn over and finish grilling on the other side. Place in a bowl. Place the mushrooms on the griddle turning over once to grill both sides. Place in a separate bowl. Heat a large cast iron frying pan with a 2 tablespoons of olive oil. Add the sliced onions and allow to turn a beautiful golden color; place in the bowl with the mushrooms. 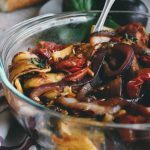 Place the sliced peppers in the frying pan and let char, when this is achieved place in the bowl with the mushrooms and onions. Place 2 tablespoons of olive oil in the cast iron frying pan and add the garlic; let the garlic become fragrant and add the breadcrumbs, chopped parsley, capers, raisins and pitted olives. Let the breadcrumbs become slightly golden in color then remove and place in the bowl with the mushrooms, onions and peppers, season with salt, pepper, oregano and red pepper flakes and toss gently. In a serving platter place an eggplant round topped with the mushrooms mixture, followed by shaved provolone and another eggplant round. Repeat this process finishing off with shaved provolone, chopped parsley and a drizzle of the honey, olive oil and lemon mixture. Serve alongside your favorite pasta if desired. Enjoy! 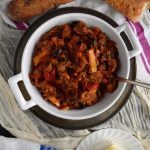 Once that’s done you can prepare your desired pasta, and you’re ready to serve a classic Old World style Mediterranean ‘peasant dish’ with a delicious modern twist. I made something similar years ago, but it didn't include mushrooms. Thanks for the reminder of this yummy dish! I'll have to give yours a try because my family loves mushrooms. 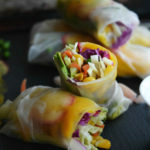 Gorgeous, wonderful, flavorful - can't wait to make this. 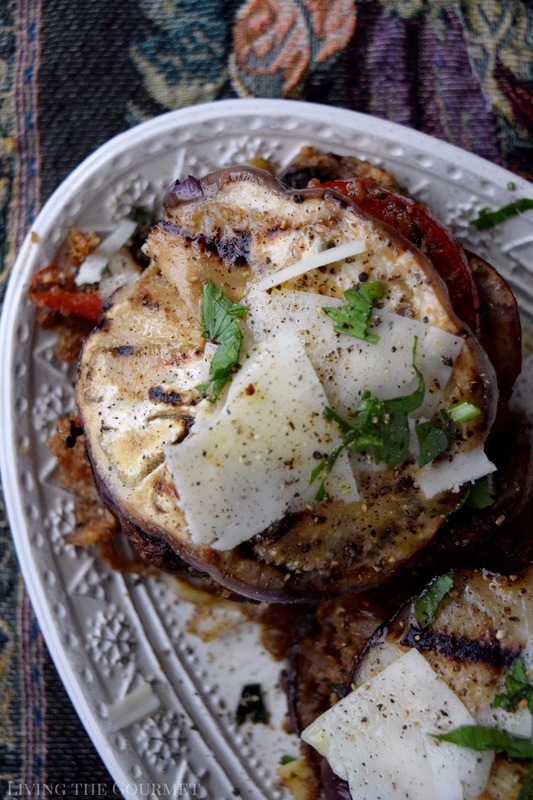 I'm always looking for new ways to eat eggplant and this is perfect. Mouth watering photos! Just perfection! XO!!! These look too beautiful to eat! 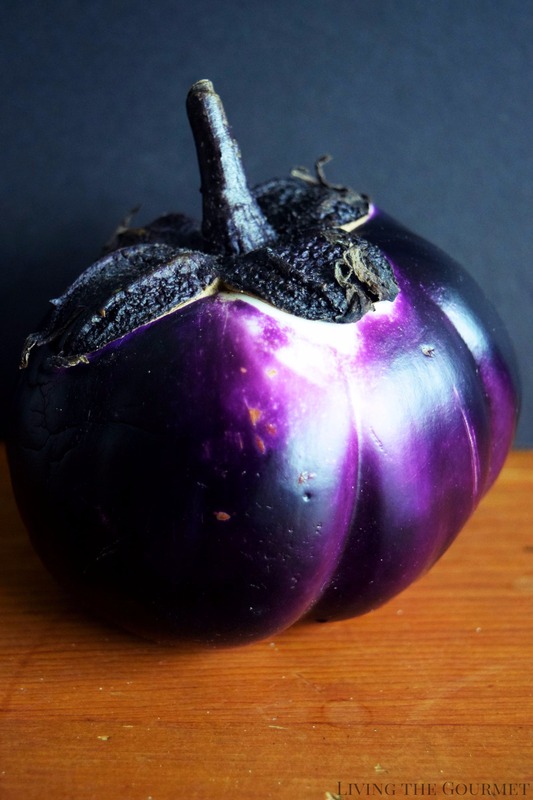 one of my favorite veggies is eggplant and I'm always looking for new recipes with eggplant. We get a similar eggplant here in Israel - it's called Baladi... interesting shape but not much seeds in - so fleshy. I love roasting it. This looks so good Can't wait to try. Well, it may not be new to the culinary world, but it's new to me and it looks delicious! Plus your photography i on point as usual. Beautiful! I can never get eggplant cooked right, unless it's in baba ganoush. Mine always ends up flimsy, so I haven't made it in a while. I'm definitely going to have to try this. Thank you! What delicious stacks! Have never seen those eggplants over here...so adorable! wow this is just beautiful and perfect dish love those chunky eggplants and the purple color is just amazing, eggplants are by far one of my favorite ingredients so good and meaty. Yummy! What a great idea I need to try to make this sometime! These look delicious!! They remind me of a healthier version of an eggplant parm, with more flavors. Adding this to my next dinner party list to give em a try. Oooh, what a gourmet twist on peasant food! I'd happily make a couple of these stacks into a meal!!! I grew up eating lots of eggplant and peppers -- mamma made everything like the Italian contadini. 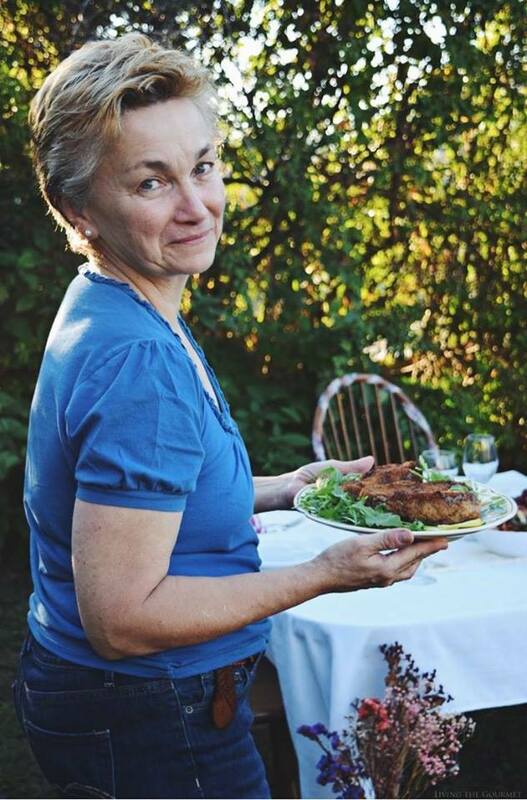 Once I grew up I didn't really cook the way mamma did although I loved her cooking. Now, we are going back to it. The simple dishes using fresh ingredients are outstanding. I can't wait to try your recipe. I seriously need to try this. I have never liked eggplant but this looks incredibly appetizing! Loving the flavors used in this recipe. It looks delicious and I am sure will taste amazing too. 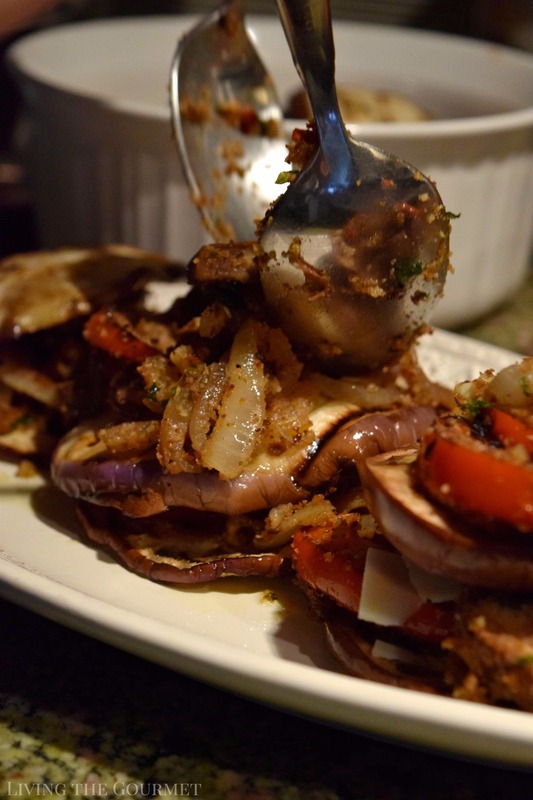 Catherine, I love this eggplant stacks, I have few at home I am going to give it try. Eggplant and breadcrumbs goes well always. This kind of family dinner. I haven't seen this kind of eggplants on the market, just the ordinary ones. A delicious combination of vegetables, such big flavours. This makes a lovely appetizer for the Autumn that's just around the corner. 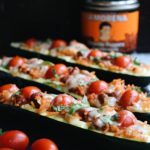 I am always looking for eggplant recipes! This is a great recipe. 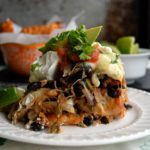 This is the perfect meatless meal! These sound delicious, definitely going to try this recipe. 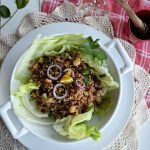 Love the recipes on your blog. 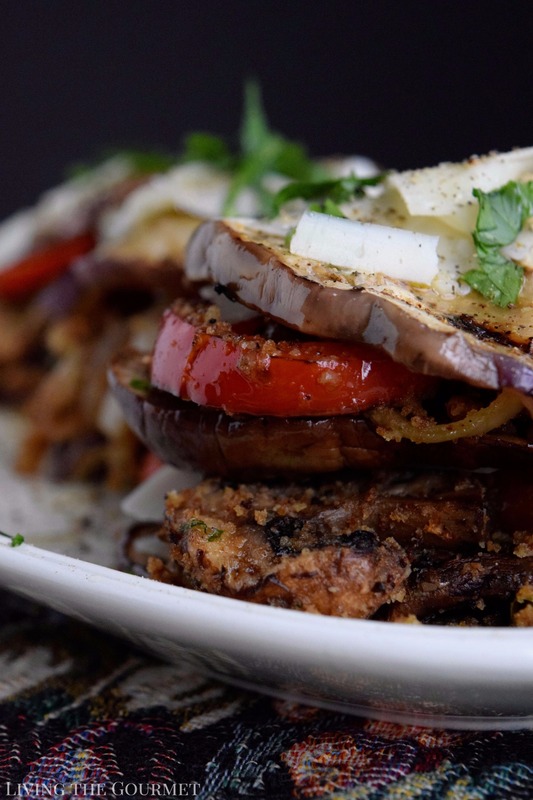 The Mediterranean Eggplant Stacks looks delicious. And I like the total preparation time of only 30-minutes.